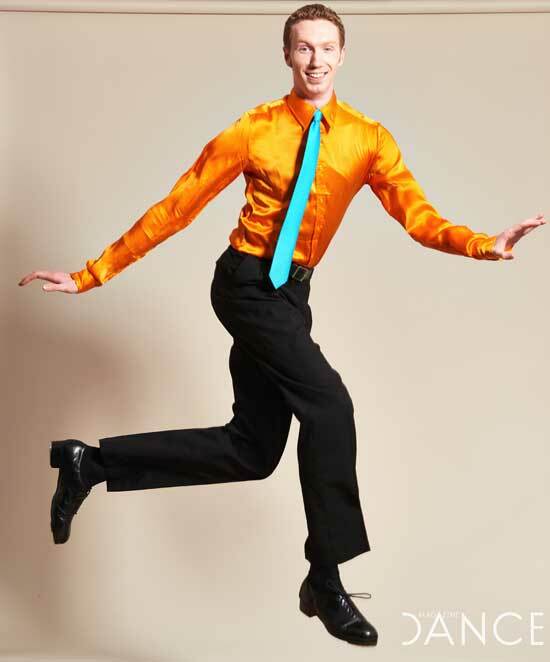 Ryan P. Casey is a “whimsically inventive” (The Boston Globe) teacher, performer, writer, and choreographer regularly seen in Boston and New York. A founding member of Dorrance Dance, he trained primarily with Thelma Goldberg and Kelly Kaleta in Lexington, MA, and was featured during season six of So You Think You Can Dance. The recipient of grants from the New England Foundation for the Arts and the Massachusetts Cultural Council, Ryan has presented original work for his ensemble, Off Beat, at such venues as Jacob’s Pillow Inside/Out series, the 92nd Street Y, Symphony Space, Massachusetts Dance Festival, Southern Vermont Dance Festival, and David Parker’s Soaking WET series. He has also danced for Aaron Tolson, Billy Siegenfeld, Adrienne Hawkins, and Lorraine Chapman. A Capezio Athlete who can “morph from a giraffe into a grasshopper with the graceful fold of the limbs” (The New York Times), Ryan has worked with studios, colleges, festivals, and youth companies across North America and in Switzerland, including: Summer Performing Arts with Juilliard, Hofstra, Brown, The Boston Conservatory, American College Dance Festival, Tap United, Beantown Tapfest, Calgary’s Tri-Tone Youth Rhythm Ensemble, and Candy Apples Dance Center (of TV’s Dance Moms fame). He was formerly on faculty at Boston University and choreographed for the University of Connecticut Tap Team. Ryan also writes frequently for publications such as Dance Studio Life, Dance Magazine, and Dance Teacher. His essay, “Tap & Text: Using Poetry to Develop Rhythmic Proficiency in Percussive Dance Students,” appeared in an early 2017 issue of the Journal of Dance Education. Currently on faculty at The Dance Inn in Lexington, MA, Ryan is a proud alumnus of New York University’s Gallatin School, The School at Jacob’s Pillow, and the National YoungArts Foundation. He is pursuing his M.Ed. at the Harvard Graduate School of Education.